Training should form part of every employee’s personal development plan, which will help with overall staff satisfaction and motivation in the long term. But often staff in small businesses are left to instigate their own training and development, with resistance from line managers due to time and cost. How can you ensure your staff are receiving the training they need, without it impacting on your bottom line? What are the skills that your employees are lacking to do the job properly? Where do they feel they would like further development? Plan this into your accounts each year, with a clear idea of how much will be allocated to each team member using the results of your skills analysis. Remember how training your staff will benefit your business in the long-term, so it’s worth being realistic with your budgeting. If it’s going to cost your business time and money for your staff to be absent for days at a time, virtual learning can provide a great alternative. There are numerous webinars and online courses available which can be accessed at the employee’s leisure. Tailor your training to individuals, considering how they work best – is it face to face or online? 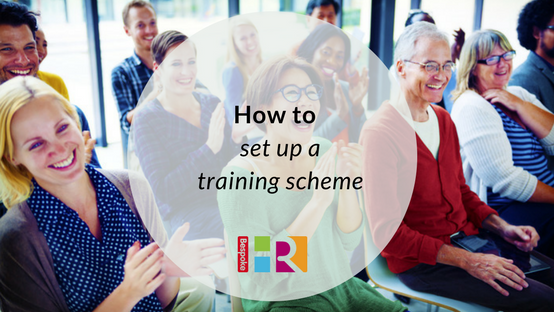 To be successful, staff training needs to be highly-targeted for each employee. Training should be closely linked with their development plan objectives and used as an aid to achieve these. If you keep the two closely aligned, this will allow you to manage the outcomes and budget more closely. Keep a log of all staff training to discuss in appraisal or review meetings. For more junior members of the team, having access to a more senior person within the company can boost motivation and considerably help with development. Often, senior personnel benefit from ‘reverse mentoring’ in these scenarios where they are also learning from younger employees. Set up regular meetings and agendas so that there is a clear mentoring plan in place, tying in with learning and development needs.